Use a fireplace poker to spread out the embers. Put ash over the embers to smother the fire. Apply a thin layer of baking soda over the fire. Let the ashes cool off and place them in a metal container. Store the container outside your home away from anything flammable. Wondering why baking soda is used? 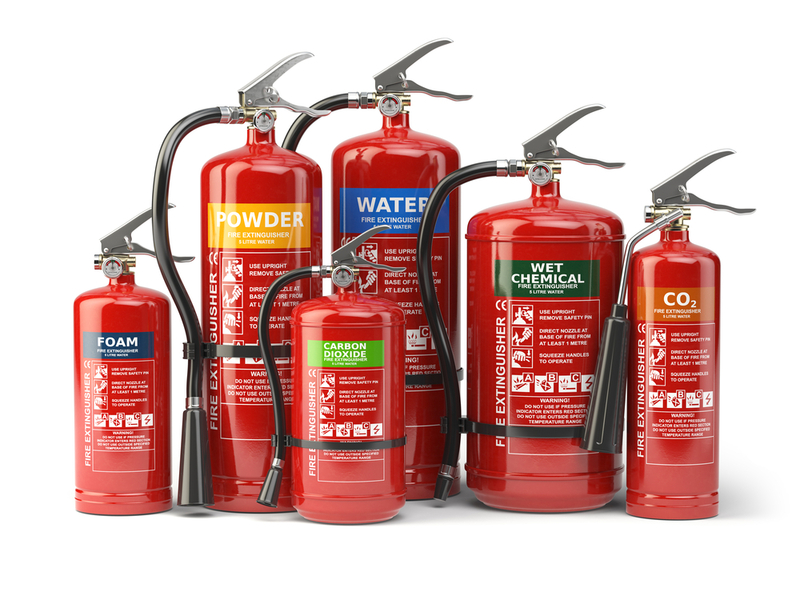 Baking soda is a common ingredient in fire extinguishers. When baking soda is heated, it produces carbon dioxide, which can smother the fire. In fact, baking soda is also a viable option to put out grease fires as well. While water can be used to put out a fireplace fire, it’s not recommended. Not only does it take a lot of water to put the fire out completely, it also creates a huge mess that will need to be cleaned up later. In fact, trying to put out a fire like you would for an outdoor fire may give you the opposite results. Besides making sure that a fireplace fire is properly put out, there are a number of things you should and shouldn’t do to make sure you don’t accidentally have a house fire on your hands. Get a proper inspection before lighting a fire. Before you light your fireplace for the first time this winter, make sure to get your chimney and fireplace inspected to prevent potential chimney fires. Only burn dry wood intended as firewood. Using wood that is damp or collected wood from nearby can create extra smoke or unpleasant odors. Have a fire extinguisher nearby. Keeping a fire extinguisher nearby can prevent an unintentional fire from getting bigger in the case of an emergency. You can learn how to use a fire extinguisher in our downloadable emergency guide. Clean out the remaining ashes from the fireplace after they’ve cooled. Ashes stay hot for hours after the fire has been put out. Leave them overnight and clean them up to make sure that they ignite when lighting a future fire. Make sure the damper or chimney flue is open. This will force the smoke up the chimney rather than going throughout your home. When you’re not using your fireplace, the damper or chimney flue should be closed to prevent any snow or rain from entering your home through your chimney. Crack a window when using the fireplace. While most of the smoke should go up the damper or chimney flue, chances are there will still be smoke that needs somewhere to go. Lead it outside with a slightly-opened window to keep the smoke out and the warm air circulating through room. Burn pine needles, cones, or other nearby greenery. Burning anything other than firewood can produce toxic fumes and unpleasant odors. Leave your lit fireplace unattended. Sparks and ashes can pop, potentially starting a fire outside the fireplace and causing fire damage. Keep your fireplace burning for extended periods of time. Leaving a fireplace lit overnight or even over 5 hours can damage your fireplace and increase the risk of a house fire. Keep flammable items near your fireplace. Remove any decorations on your mantle before you light the fire in your fireplace to prevent one of your decorations from catching on fire. This is especially important if you hang garland during the holiday season, as it can easily catch fire from one park. Use a vacuum to clean up the ashes. It can be hard to tell if there’s a live spark in the ashes. A vacuum can add air and reignite the spark. Instead, use the right tools, such as an ash shovel to clean up any leftover ashes. Want more tips on staying safe with your fireplace and chimney this winter? Learn the main causes of a chimney fire and how you can prevent them. 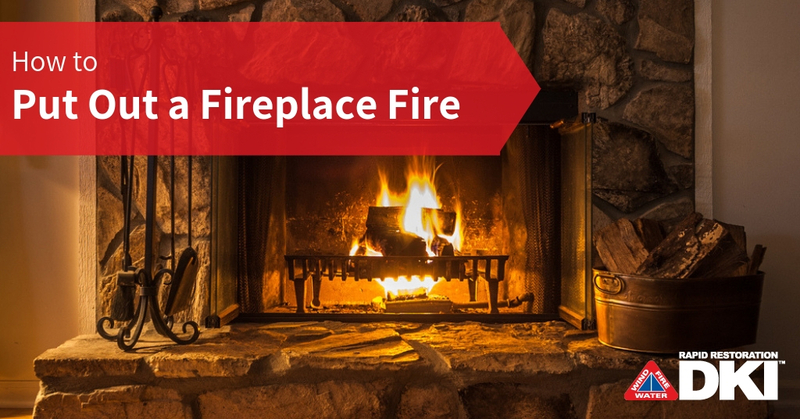 If you find that your home has been damaged because a fireplace incident, give us a call! We can fix any fire damage and remove any unwanted smoke odors from an out-of-control fireplace fire.